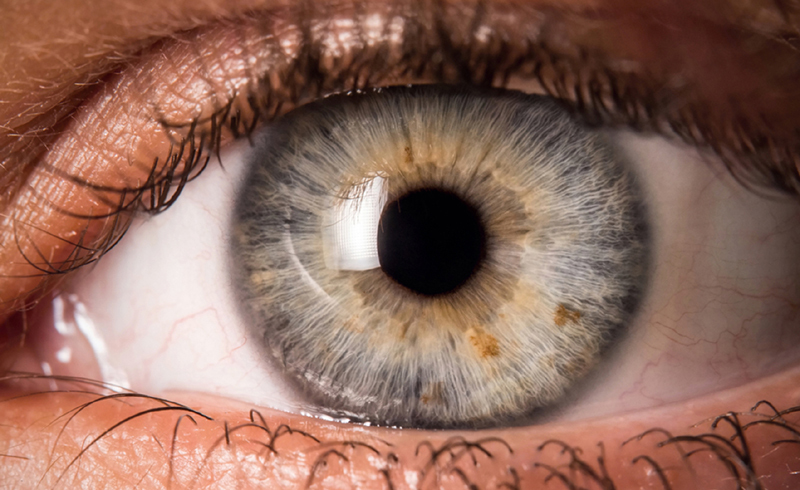 Little brown specks in your field of vision are called eye floaters, and they're usually nothing to worry about. Ever see squiggly, dark lines or spots in your field of vision? They’re called eye floaters, and they’re typically no big deal, says Roshini Rajapaksa, MD, Health’s contributing medical editor. "Floaters are common and usually nothing to worry about," she says. 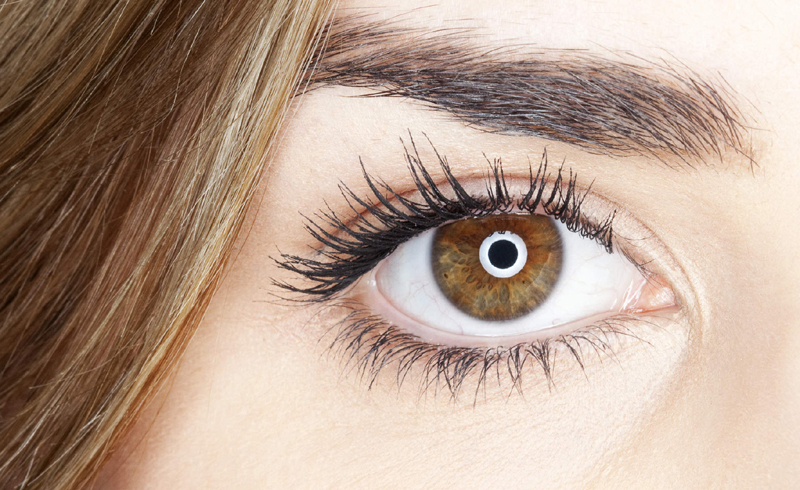 Still, it’s annoying to see spots, so we asked experts to give us the lowdown on eye floaters. Here, what you need to know about this common occurrence. Floaters are typically caused by age-related changes in the vitreous humor, the jelly-like substance that fills most of the eyeball. Vitreous is naturally clear and transparent. But when it shrinks due to age, strands in the vitreous can cast a shadow on the retina. The result: Those little black specks. "People with eye floaters typically see spots, threads, or a cobweb-like substance floating around as they move their eyes left to right or up and down," says Robert Cykiert, MD, clinical associate professor of ophthalmology at NYU School of Medicine. They may also look like little bugs or insects. Although anyone can get eye floaters, some people are more prone, including people who are nearsighted ("They have a slightly different consistency of their vitreous fluid, which makes them more susceptible" says Dr. Cykiert) as well as people with diabetes or those who have had a cataract operation. Dr. Cykiert tells us eye floaters may come and go depending on lighting and background, as well as the angle that light is coming from. Some people will see floaters when they’re looking at a bright background, such as a computer screen or through a window on a sunny day, he adds. Since floaters aren’t transparent like the rest of the vitreous, they become more noticeable when contrasted with light. On the other hand, if you’re in a dark or dimly-lit environment, you might not see any floaters. Unfortunately, there's not much you can do about these little spots. "Albeit annoying, most people just live with them," says Dr. Cykiert. Surgery is available for patients with severe floaters, but the procedure, which removes the vitreous fluid from the eye and replaces it with a salt solution, has significant risks. And while it’s possible for floaters to go away on their own—either by disintegrating altogether or breaking apart into smaller fragments—they'll probably come back again at some point in the future. For most people, eye floaters don't require a visit to the doctor. "If you’ve had eye floaters for some time and haven’t noticed any changes in their number or size, there’s no need to schedule an appointment," says Dr. Raj. However, if you start having eye floaters while seeing flashes of light, or suddenly get a bunch at once, see an ophthalmologist right away. Floaters can also be a side effect of posterior vitreous detachment, a condition that’s common in people over age 50. "Posterior vitreous detachment is an aging change in the vitreous fluid, which can occasionally cause acute, large floaters to develop," says Dr. Cykiert. This condition can also be associated with a tear or detachment in the retina, which may lead to vision loss if not treated ASAP.